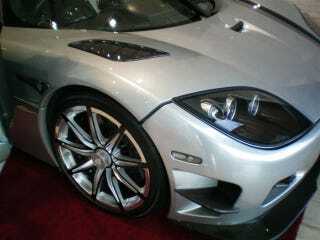 There are three Koenigsegg CCXR Trevita's in existence. Each wears a paint scheme of carbon fiber coated in diamond dust. There's one for sale in South Africa right now for $5 million. Dubai, your next ludicrous paint fad has arrived.